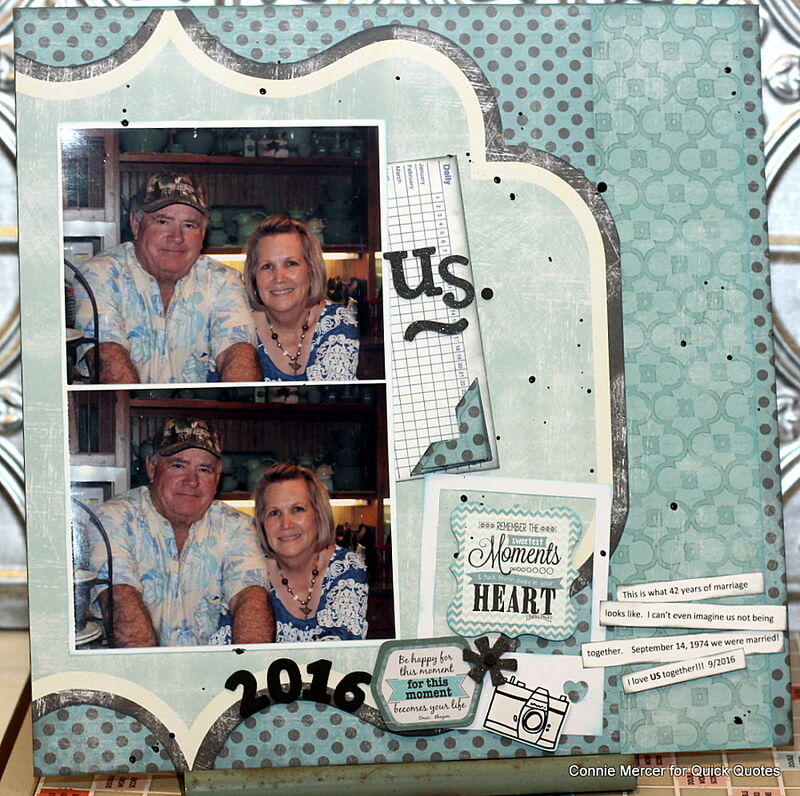 Hi, Connie here with a scrapbook page using the Whistlin' Dixie Collection by Quick Quotes. I matched the paper to our clothes and it worked great!!! 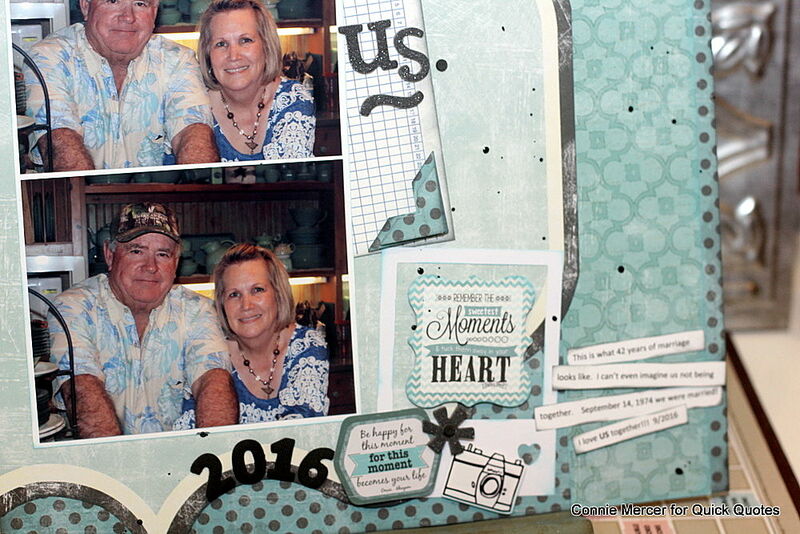 This photo was taken September 2016, our 42nd Anniversary!! I didn't realize that until I started to create this page. The papers were so perfect!!!! I loved how I was able to create the die-cut paper look just by cutting the image from the already imprinted pattern paper.